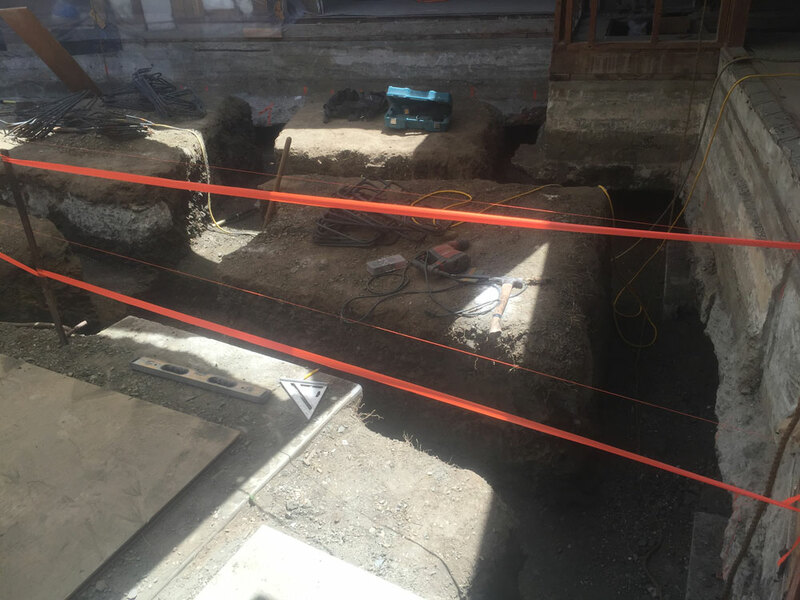 Archeological Dig or Setting a Foundation? 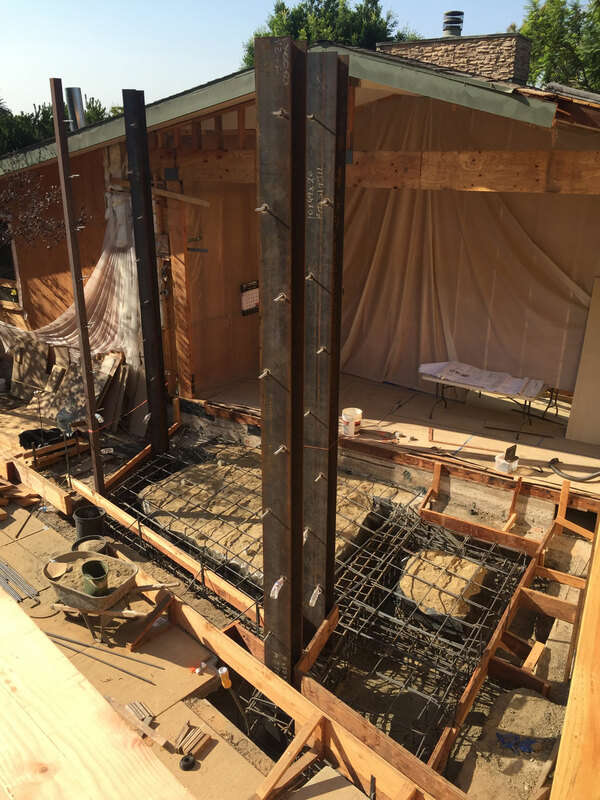 - Kurt Krueger Architects, Inc.
What does it look like when you are building a foundation for a new structure or adding on to an existing house? 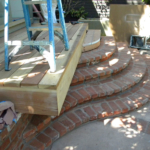 The start of each building project where you are either adding up or on to an existing structure should be to determine if the underlying foundation and structure are sufficient to support your construction dreams. Every project is unique. Every projects has its challenges. 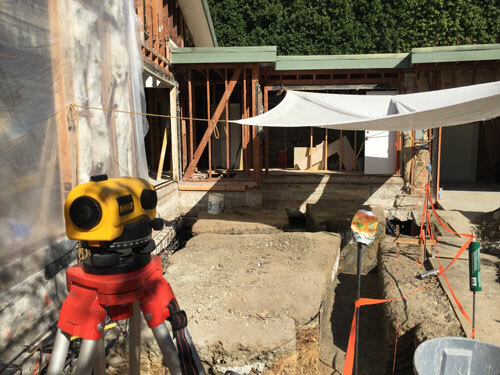 We are often asked by prospective clients “will I need foundation work to support a new structure?” The answer is almost always yes, when you are building out. But it can sometimes be no if you’re building up. 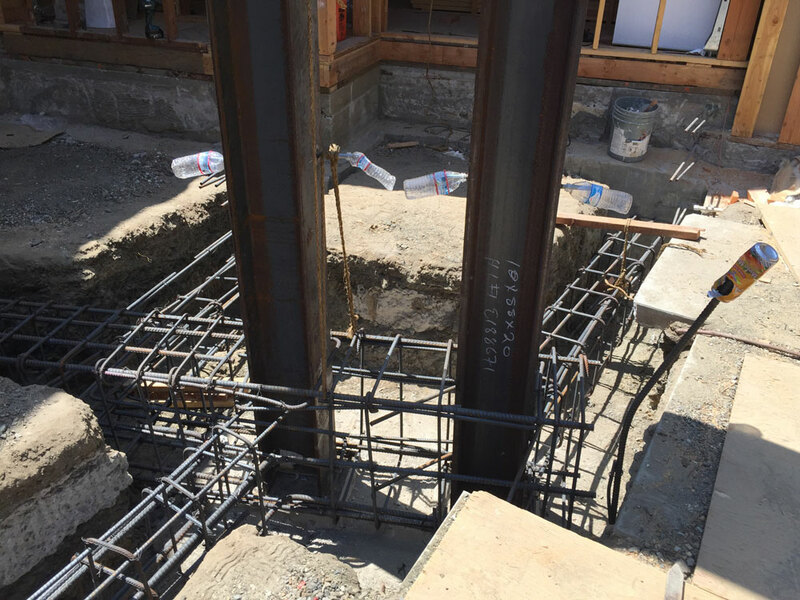 The existing structure and footings may be sufficient enough to handle the additional load of adding another floor onto the house. 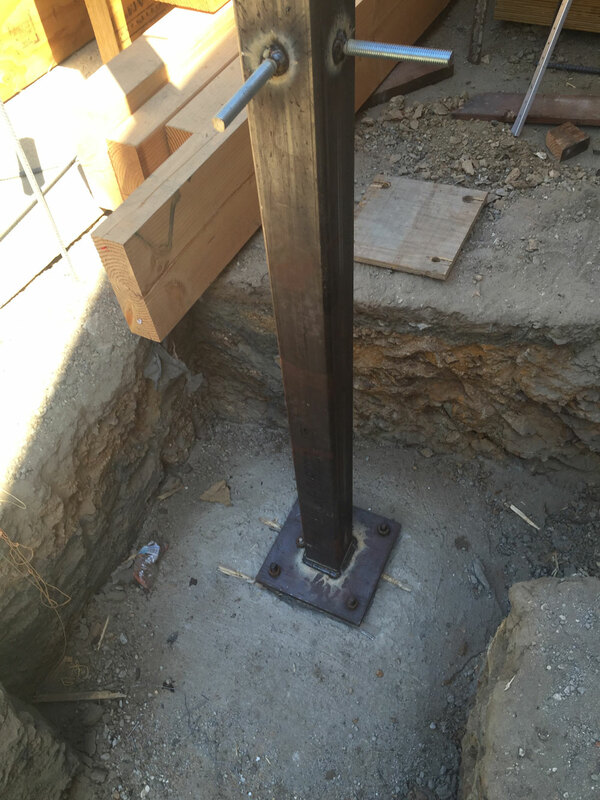 To support another story, footings must be dug to a certain depth, which varies depending on soil quality and grade. 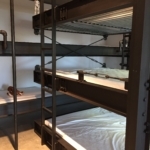 A professional evaluation with a design-build firm like ours and a structural engineer will determine what’s appropriate for your project and what local building codes require.. 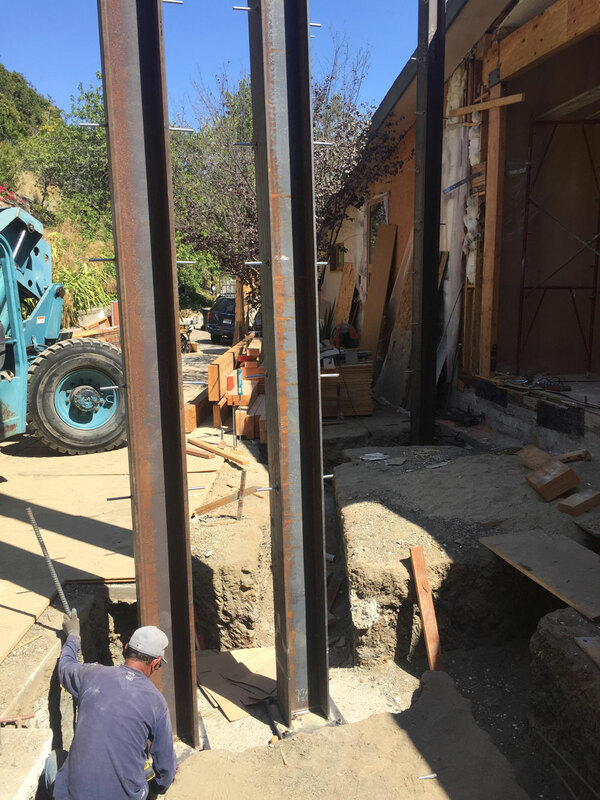 Here are some photos from a recent project of ours in Benedict Canyon, in Beverly Hills where we both added on and up where foundation work was required in both instances. 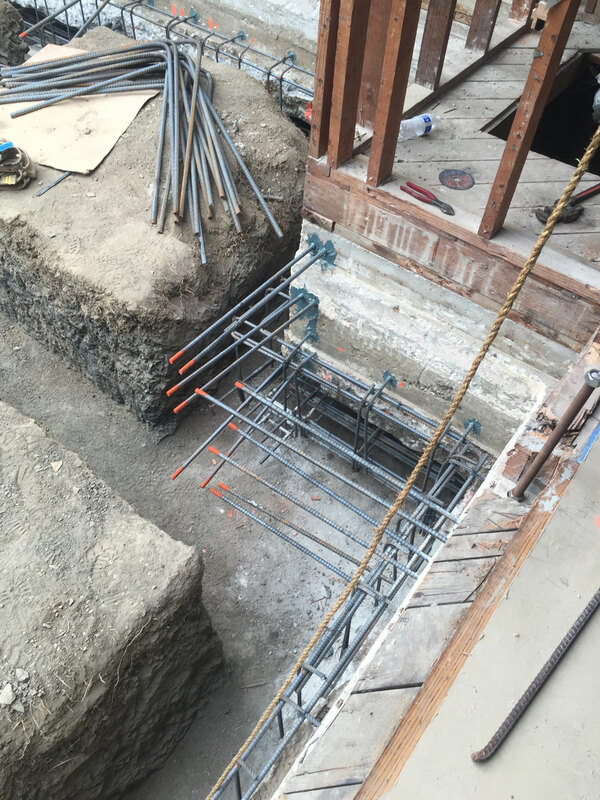 It’s almost a shame to cover up the sculptural-like work of how the steel beams, concrete, and rebar come together to support and reinforce the structure.